It is important to know the best criminal solicitors in the area you are in. You may think that you will never have need for it because you’re a pretty upstanding citizen with no inclination to crime, but you will be surprised—there are some things that are considered to be under “criminal charges” that you may very well be in danger of. One of the most common misconceptions of people is that driving under the influence is a traffic violation. It is not, it is a misdemeanour that is classified under criminal offenses. Many of the people that are arrested for drunk driving are not hardened criminals as you may know—they can be regular people you come across everyday who happened to have some drinks before driving back home. This can be you. Random Breath Testing – Caught! Now, you may think that you never drive when your senses are impaired – it doesn’t matter. As you know in Australia, officers sometimes conduct random breath testing and if your alcohol level exceeds the legal limit, you are liable to be arrested for drunk driving. The legal alcohol limit for most areas in Australia is .05, and .02 for people with learning permits. This is very low and depending on the type of person you are – you may very well exceed this limit without you even knowing it (if you have had something to drink prior to driving). Different people have different reactions to alcohol and if you will be driving, it is safer to not drink at all to be sure. A breathalyzer is a common test given to people to check for alcohol in the bloodstream. Obviously, there is no blood letting here, the person in question will have breath drawn out of his/her lungs and from there, a conversion is made. While breathalyzers are fairly helpful in assessing the blood alcohol concentration level (BAC) of the person, it is not always accurate. The reading may be altered if the environment is hot, or the person himself/herself is warm. Hyperventilation can also increase the BAC reading, which can be triggered by panicking so again, this may prove to be a faulty variable in determining the person’s level of inebriation. There are three levels of drink driving PCA (prescribed concentration of alcohol in the blood), namely low range, mid range, and high range. 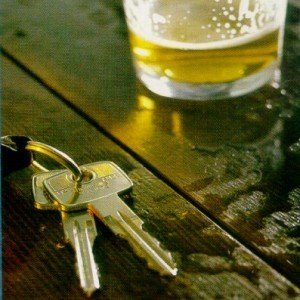 Low range is the level where alcohol is the least present and of course, this translates to lower fines and punishment. Mid range and high range PCA may warrant more serious punishments that have a higher chance to change the course of your life. 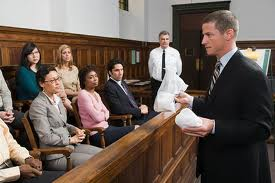 The manner of punishment and amount of fines differ for each of these levels so many criminal solicitors try to prove their clients to be under the low range category if possible. This is why it is crucial that you hire a criminal lawyer to represent you in court. Many people try to defend themselves, declaring their innocence which they may sincerely think they are. However, they do not know the technicalities of the criminal law, specifically drink driving laws so they end up digging a hole for themselves instead. You will want to invest in a good solicitor to make sure that your rights are protected and that you have the best outcome possible. Now, it is natural that a person under these circumstances may be panicking and reach out for the first person to give them assurance that everything will be fine—don’t be one of them. Choose wisely. The right lawyer will spell the difference between time behind bars, a hefty penalty or a filed record charge and a better deal. Be cautious in your search by asking around and checking for their experience. Remember, an arrest doesn’t mean you have a criminal record already. A competent solicitor can keep the charges from being filed, consequently saving you from having a criminal record at all. It is important to note that we do not advocate drunk driving. It is not illegal to consume alcohol, but you need to be responsible for yourself and for other people as well. However, we must also be aware of the rights not just of the potential victims, but of the person who made the mistake as well. 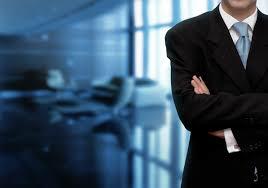 Are you looking for a criminal solicitor Sydney? You may have a friend who is arrested for criminal charges and you need a good lawyer to represent him and make sure that his rights are protected. For those of you who don’t know, criminal charges are not limited to just the big ones like embezzlement, murder and theft. Lesser crimes labelled as “summary offences” are fairly common incidents in Australia. These include not only drunk driving charges, but common assault, shop stealing, malicious damage to property, and so on. When you are arrested, it is important to remember that this does not mean that you automatically go to court and have a criminal record. It means that there is reasonable suspicion that you are guilty of the “crime” that you are accused of. This is why hiring a good defence lawyer is vital. He can help you get the best possible outcome, even dismissing the charges that should have been filed against you. 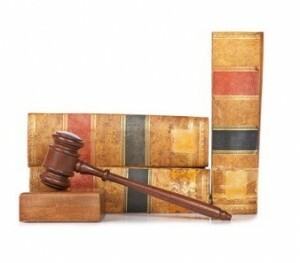 Legal Aid Lawyer, or Hire Your Own Lawyer? If you are arrested, you are given the choice whether to defend yourself, apply for a legal aid lawyer to defend you, or hire your own lawyer. Some people may opt for the first two choices because it is cheaper, but I strongly recommend that you go for the third choice—hire your own lawyer. This is your life that we’re talking about and you need someone with the knowledge and expertise to make sure that you have your rights protected in this unsure territory. What do you need to look for in a good criminal solicitor Sydney? Check for his credentials and experience. There are lawyers fresh out of law school who may not charge as much, but they also don’t have the know-how that only experience can teach you. Remember this is a serious matter for serious people and it is not just the knowledge, but the confidence and authority that an experienced solicitor that you should look for. 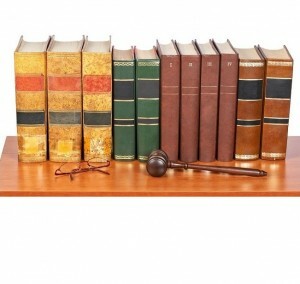 Find the best criminal solicitor Sydney. Check the numbers on this page and make an appointment to talk about how this team can help you with your legal problems today. A lot of television shows depict the glamorous and exciting lives of criminal lawyers. We think that these lawyers put their lives on the line dealing with hardened criminals and suspicious looking individuals. We think we will never need this because we live fairly decent lives (at least we don’t act out on the thoughts we have towards our mean boss or cheating ex-partner). The truth of the matter is that criminal law is more far reaching than we realize—it includes areas where we might have been guilty of at one time or another. Being arrested is a very scary time indeed. While you break into a cold sweat at the images of being locked up with a murderer in a small cell, this is unlikely to happen to you if you are found in the low range level of PCA or prescribed concentration of alcohol in the blood. There are also possible aggravating factors that may figure in the over-all assessment of any charge that you may be facing. For example, with drink driving charges (which are, after all, the most common offences seen by our Court system), reckless driving, causing accidents and damages are some of these factors that you hopefully will never be a part of. For people that have been found guilty of these, then a harsher penalty will be imposed. Now, you may think that you need a smooth talking solicitor to help you get out of the jam you’re in ASAP. While it is understandable that you hit the panic mode with the threat of a criminal charge against you, it is vital that you stay calm and choose carefully the criminal lawyer to represent you. There are many out there claiming to be the savior that you need, but not everybody will be able to defend your rights and give you the outcome you want in the end. Find Yourself an Experienced Criminal Lawyer! Look for someone with experience. Experience is crucial because it gives the person confidence and authority in dealing with the people who are in charge. Someone might have the right credentials and stars in their law degree, but without the right attitude, they might as well have handed you over on a silver platter. Never let anyone who promises to get you free without even verifying the facts surrounding the arrest represent you. This is folly on your part because they have nothing to base their promises on. Yes they need to be confident, but they also have to be realistic and transparent to you so that you will be prepared if and when the court trials do commence. Remember, it doesn’t mean you automatically have a criminal record once you’ve been arrested. 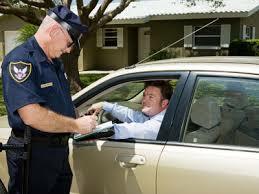 Arrest only means that there is reasonable suspicion that you are guilty of breaking the law. A good criminal lawyer who has your best interest can lower the charge against you, or even make sure that the charges will not be filed against you, clearing you from the embarrassment of having a criminal record.